The NZ Transport Agency (NZTA) says it’s now reviewing how it funds public transport nationally in the light of growing patronage and demand. A spokesperson for the agency says times have changed and it needs to reconsider its farebox recovery system. 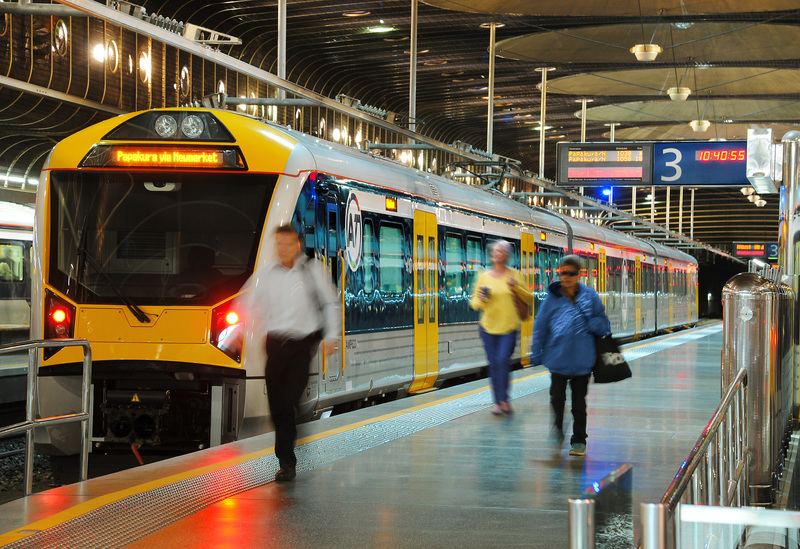 Auckland Transport’s (AT) public transport services are paid for through passenger fares and subsidies from Auckland Council and the New Zealand Transport Agency (NZTA). But under the farebox recovery model at least 50% of its costs have to be recovered through fares. A spokesperson for the NZTA admits things need to change. “The NZTA is reviewing farebox recovery. The policy implemented in 2010 set a national target for farebox recovery, but demands on public transport have changed considerably since then and the 50% target across the country is no longer appropriate within a regional public transport planning environment. In January AT announced its fares for buses, trains and ferries would rise by 2% to cover the cost of more Aucklanders using public transport. AT chief executive Shane Ellison says it has been operating in a fiscal straightjacket imposed by the NZTA. “Our preference is not to increase fares and we have absorbed as much of the costs as we can,” he says. But Ellison says AT is already pushing the boundaries and is currently only recovering “about 44-45%” of its overheads through fares. Generation Zero spokesman Leroy Beckett has previously called for an end of the farebox recovery model used by the NZTA and last month launched its Freeze the Fares campaign. He says the latest announcement from NZTA signals a change in its thinking. He says the farebox recovery policy punishes Aucklanders for doing the right thing and directly contradicts AT’s goal of getting more people to use public transport. Beckett says the system means as more and more people use public transport the amount AT has to pay also increases to cover new services. Auckland councillor Chris Darby has also been an outspoken critics of this year’s fare increases. Darby says reviewing the farebox recovery system is a step in the right direction and is a left-over of the previous government’s transport policies. He says he’s meeting with officials from the NZTA, AT and Auckland Council, as well as Mayor Phil Goff and Transport Minister Phil Twyford in the next work for the first meeting of a new body looking at getting Aucklanders out of their cars and into public transport. Darby says they will be working on a mode shift plan that is designed to get people using other options, such as public transport, scooters, cycling and walking. Figures released by AT last month showed an 10.8% increase in public transport trips in February. This equated to almost 98 million trips for the year to February, an increase of 6.3%. It goes against the grain to agree with anything Generation Zero says but they are right about increasing subsidies for public transport. Every person out of a car and into a bus rewards all the drivers who have no choice, it reduces greenhouse emissions, makes the city more productive and it slows down the endless building of new infrastructure. For example the Northern busway has given the harbour bridge another decade of life. Change the recovery from its arbitrary target 50% to 33% and introduce AT Hop weekly and monthly passes to encourage use. Give a free pass to every tourist. Give free travel to accompanied children. The one thing they have right is the Goldcard - it keeps doddery drivers off the road. Add an intelligent congestion charge and it might knock Auckland back into economic effectivenes and deliver that endlessly promised but never delivered productivity. Agree. In public transport the 'user' is actually all those who benefit from the transport - direct or indirect benefit. Allows us to make more efficient use of existing infrastructure, which is doubly important given the future will likely entail autonomous automobiles that also serve to reduce congestion. "which is doubly important given the future will likely entail autonomous automobiles that also serve to reduce congestion." Incorrect. Increase congestion if not heavily disincentivised by some financial charge. How many delivery services are going to start when you remove the drivers wages from the cost of running a vehicle? At the moment if you have driver stuck in traffic its ~$20/hour minimum, with an electric autonomous vehicle without a congestion charge its going to be maybe $1/hour? You need to check out the research into what actually causes congestion and projections for how this will be addressed through self-driving cars. Much congestion is caused by sheer stupidity, rather than just number of cars on the road. Nope, its going to take 30+ years to get rid of all those cars driven by meatbag humans doing those stupid things. Unless you think every household in NZ is going to upgrade to a self driving car or three in the first decade they become available. No one really knows the exact timeframes once things start to change. However, that again highlights that making better use of existing infrastructure makes sense. The constraint is the lowest common denominator, or the physical choke point. Autonomous vehicles can't do diddly squat about crap road design with traffic light phasing that results in intersections that spend 60% of their time with no-one going thru because they are phased with the next intersection down the road, or the queue has built back to fill up the lane on the other side of the intersection. Or right turning lanes that have queues that build up to the narrow point that chokes off the flow to the straight ahead lane. And then you have to factor in the marginal cost/effort factor. How many more trips are going to happen when instead of mum or dad having to get up and drive little Johnny over to his mates place, come home, then repeat the trip later to pick him up they can just pick up their phone and authorise the car to take him there? People deserting public transport into the CBD because lets face it, given the choice between a chauffeur driven car or a public bus/train, who wouldn't take the car if it costs less or the same? And it will if there isn't a charging system to balance it out, the car drives you door-to-door (no standing round at a bus-stop waiting for a bus that might or might not be on time, or 10min walk to the train station in the rain), then trundles back home to park itself (creating two vehicle trips instead of one with drive and park model or a fractional trip with public transport). Congestion will remain the same or get worse, as the efficiency of the network goes up, so will the number of trips as the marginal cost drops through the floor, if nothing is done to prevent it. Yes human drivers are pretty inefficient - but maybe not as bad as you assume. Water is pretty efficient but there is still only so much that can flow through a pipe. The real efficiencies will only come once everyone has/uses a self driving car - that is a long way away I imagine. Can you imagine New York or London or Tokyo turning off their public transport systems any time soon with all those millions of people jumping into a car? Why do we keep thinking we are different? Public transport is a flawed approach in cities with a low population density and there is no appetite for large, high density developments currently. Hopefully self-driving services can save those cities but in the interim the only viable solution is investing in more roads and parking. There's plenty of appetite for more intensity. Just not from NIMBYs. People do vary. My nephew is over 50 and says he never wants to live in a house with a garden. But that is unusual - the common preference is for a city apartment when single and then a stand alone house when you start a family and end up in a retirement village. Auckland needs both more intensity and some well designed cheap traditional suburbia. Interesting idea. So are we choosing a society like Hong Kong, where only the wealthy can afford cars? Everyone else has to live in tower blocks clustered around a metro station. The joys of urban living, supposedly. Is that really what we want? Sounds good to me. Although you could have made a comparison with Europe instead, there are much less tower blocks there. Think of Rocks and Hard places ................ so they want fares to go up ( or not ) and transporters want to make more money , but if you make Public Transport more expensive there is every likelihood users will get back in their cars . And then let the free market decide what the fares should be . Hell we have done this before with everything from Milk to Bread to airfares.......... and did the bakers , airlines and milk producers go out of business ? Would be interesting to see some examples where that had been successful for public transport. It should not surprise you that your challenge has not been taken up by Boatman. he has a long record of banging the 'free market' drum,making lots of noise but little sense. Fair enough if all road infrastructure was paid for only by car owners and all parking on a public road was free. It is not a free market if the infrastructure is free to use. "It is not a free market if the infrastructure is free to use." True, and this applies to mass transit providers too, if you actually want a free market. Last time I checked buses used the road infrastructure, and the fact they weigh about 5 times what a car does, and road damage increases exponentially with axle weight, particularly on lower strength suburban roads.. well, yeah, they are going to need to pay a fair bit if they want to run a bus through the back streets of surburbia to reach customers. And those bus lanes.. are they going to pay for exclusive use of those, or do you expect everybody else to pay for that infrastructure? I wonder how much it will cost to drive without subsidies? Surely drivers should pay rent on all that land under the roads - that would have to be a few billion a year in Auckland alone. And 50% of local roads are paid for by rates - remove that subsidy too. How about all that pollution they are causing - noise, air, C02, storm water - better pay for that too. I wonder why the politicians don't have the balls to even consider doing what needs doing? Of course we could stop importing circ 40,000 people into Auckland each year. Think how much infrastructure we wouldn't have to build if we did that. The current funding model doesn't work. The government has a social responsibility to provide transport options for the poor. This doesn't currently happen as councils fail to provide PT based comprehensive coverage networks that will allow users to get from all origins to all destinations within an urban area, or the headways are too high, e.g. a service every 2 hours. This happens as there is insufficient funding, i.e. 50% farebox recovery. Central government should directly fund PT comprehensive coverage networks with maximum 30min headways between services. Where fixed routes are not economic on-demand services can be used. There are socioeconomic benefits to the country in doing so. The poor in society then have access to jobs, services and friends. Local government should then almost fully fund service level increases above this. E.g. core routes at 10 min headways. This is a result of poor urban planning (not the only factor, but a huge one)... building new housing at Huapai, when there is SFA public transport or industry out there? Reserving land for public transit corridors, and rezoning land near the corridors for high density housing, and steamrollering the objections of whinging NIMBYs would achieve quite a lot over a decade or so. Funding 15min interval public transport everywhere from the CBD to Huapai.. is just never going to happen, political suicide for anybody that tries to levy the populace with the level of taxes and charges required to acheive good public transport over a huge area full of low density housing, particularly with the interconnection possibilities limited by the various harbours. Okay - so who pays for all the people who find getting from home to Work and back a 100km round trip? Can't bike, can't walk and for many, work is nowhere near where the trains go. Plans for 80,000 more people will be affected by this so no - you use it, you pay for it just as the Truckies, Plumbers, Electricians etc and many private drivers who have no choice. I don't agree with the subsidies we have for a simple reason - you use it, you pay for it. The whole structure is so inequitable given the distances that many people have to travel daily. For so many, walking, biking or using a train is not an option i.e. a 100 km round trip daily from home to work and back with bus links to get where trains don't go. How about Auckland Council, AT and the Government put more onus on jobs out of the city and not just stuffing 80,000 new houses into these areas.